You know how to dive, now discover the why – and how to protect and sustain our reefs and oceans. Your PADI Open Water course taught you how to dive. This special PADI AWARE Advanced Open Water Course teaches you the why – and the reasons, ways, means and dive skills to protect and sustain our reefs and oceans. And you’ll earn your Dive Against Debris Specialty certification too. Just like the regular PADI Advanced Open Water course, you don’t need to be an “advanced” diver to take the course. Each of the 5 Advanced Open Water Diver training (“Adventure”) dives on the AWARE Advanced Open Water course expands your scuba skills and builds your confidence in a bunch of different ways – with plenty of fun thrown in, too. Learn about what you’re seeing underwater. We guarantee it will enhance each dive you make once you know what you’re looking at. Remember: anyone can spot the big stuff; smart divers know how to spot the smaller stuff. Taking care of the ocean isn’t only about removing trash from the reef. It’s about understanding the harm it causes – and stopping it getting there in the first place. Each of your Adventure Dives is also the first dive of the corresponding PADI Specialty Diver Course. So if one of the training dives particularly lights your candle, you’re already on your way to discovering more, putting another PADI certification under your weight belt, and a step closer to your prestigious PADI Master Scuba Diver rating. Take this special PADI AWARE Advanced Open Water Diver course at The Dive Bus – and earn your Dive Against Debris Specialty certification at the same time! Learn how to become an AWARE Diver and protect our oceans. PADI (Junior) Open Water Divers min 12 years old, are welcome to take The Dive Bus AWARE version of the PADI Advanced Open Water Diver course. some great reasons to keep diving and great ways to keep your diving FUN! the additional dive skills, knowledge and experiences to be an AWARE diver, respecting and protecting the ocean on every dive you make - and as part of your daily life. For each of your 5 Adventure dives, self-study the relevant Adventure dive information from either your Adventures in Diving manual or via the PADI eLearning program (see Can I start right now? for more info). 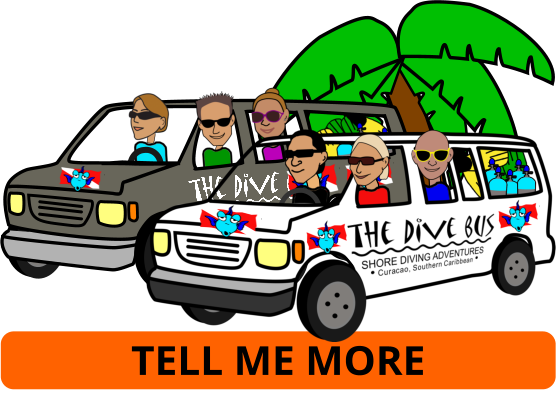 Your Dive Bus PADI instructor will review the above with you to make sure you're comfortable with it, and brief you on the dive itself and the skills you’ll learn and practice. 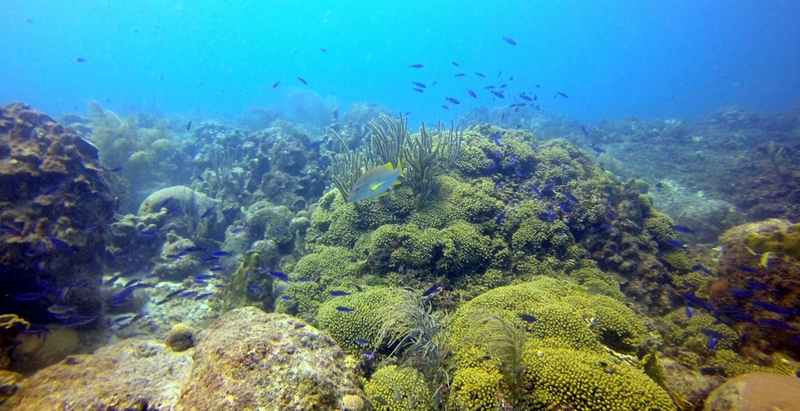 Underwater Naturalist: Learn about what you're seeing underwater. We guarantee it will enhance each dive you make once you know what you're looking at. Remember: anyone can spot the big stuff; smart divers know how to spot the smaller stuff. Dive Against Debris (DAD): Taking care of the ocean isn’t only about removing trash from the reef . It’s about understanding the harm it causes - and stopping it getting there in the first place. The Dive Against Debris dive is a PADI Specialty course in itself - let your Dive Bus instructor know if you'd like your first Specialty certification card as well as your PADI Advanced Open Water card. Dive to a maximum of 100ft / 30 m and explore deeper, more advanced dive sites. The world is your lobster... Being Advanced Open Water certified will open up a whole new set of exciting ways to continue your diving adventures. Clean up and take care of our reefs, without damaging them or other precious marine life.